It was 1995 when Carlos Dias, an eclectic Portuguese entrepreneur and designer, and Roger Dubuis, a talented Swiss watchmaker, decided to join forces and create a new luxury watch brand named Roger Dubuis. The brand quickly attracted the attentions of the media and the experts for its bold design and the high-quality finishing. The first collection was called Hommage, a name chosen by Carlos Dias to express his admiration for his friend Roger Dubuis. 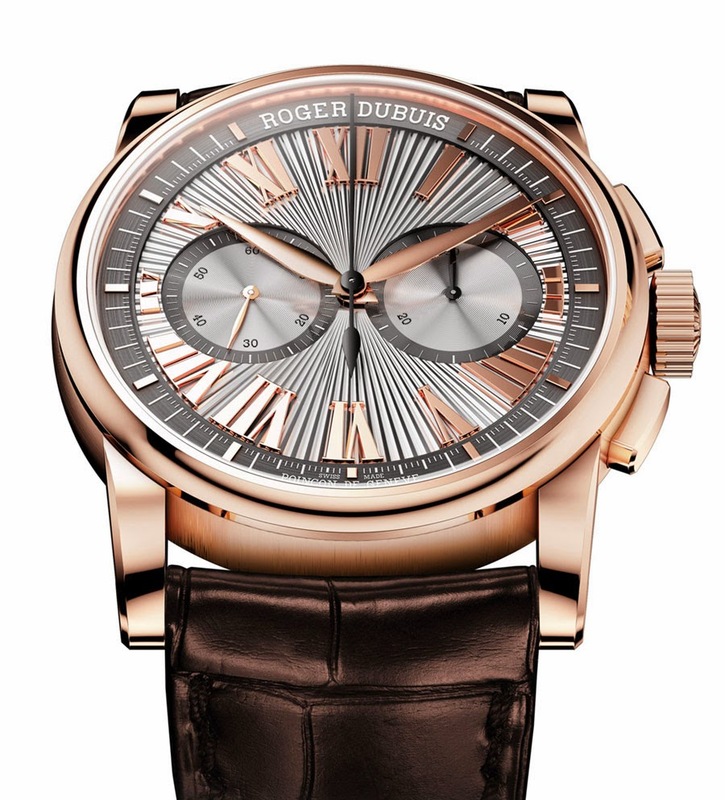 At SIHH 2014, in about two weeks, Roger Dubuis will unveil the latest evolution of the Hommage line. In the meanwhile, here is a preview with the Hommage Chronograph, a 42 mm rose gold self-winding column-wheel chronograph with central chronograph hand, semi-instant 30 minute counter at 3 o'clock and small seconds at 9 o'clock. 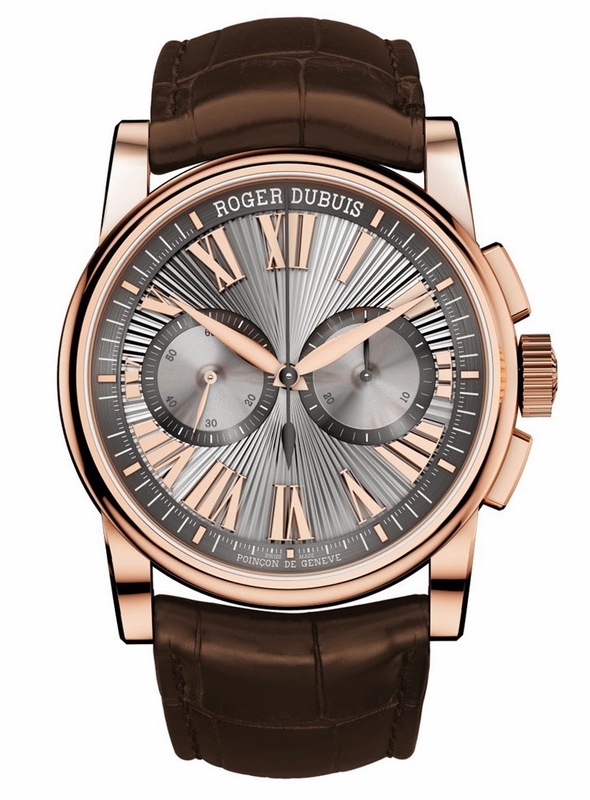 The silver dial features large applied Roman numerals in pink gold and is decorated with sunray guilloche. The Hommage Chronograph houses the Calibre RD680 beating at 28,800 A/h (4 Hz) and adopting a tungsten micro-rotor, a pretty rare feature for an automatic chronograph. Power reserve is 52 hours. 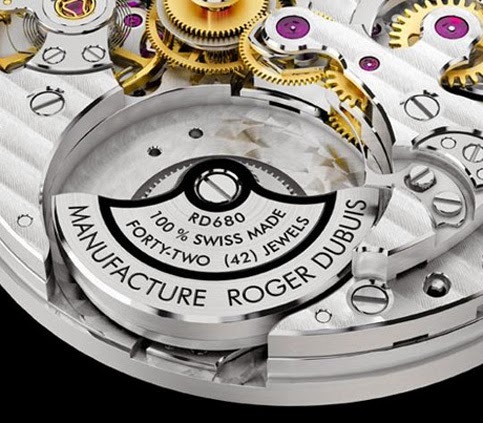 The manufacture movement proudly showcases the stamp of the Hallmark of Geneva which guarantees that the movement has been individually finished and decorated by hand in keeping with the hand-crafted traditional know-how cultivated in Geneva. 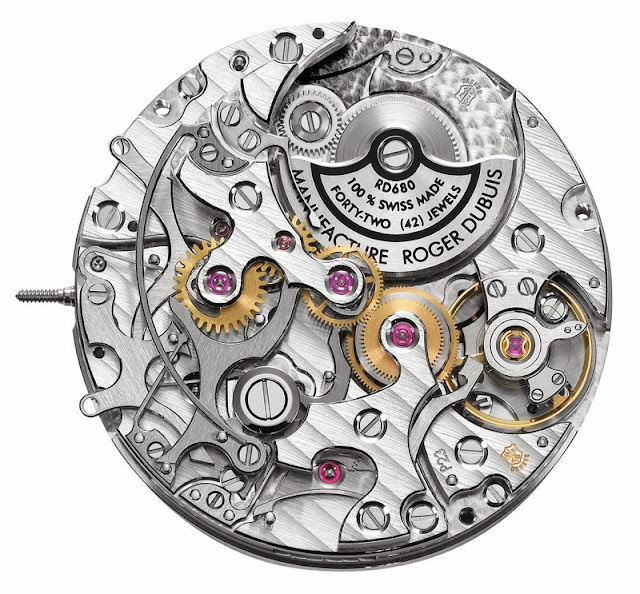 The Hallmark of Geneva also certifies performance and durability. 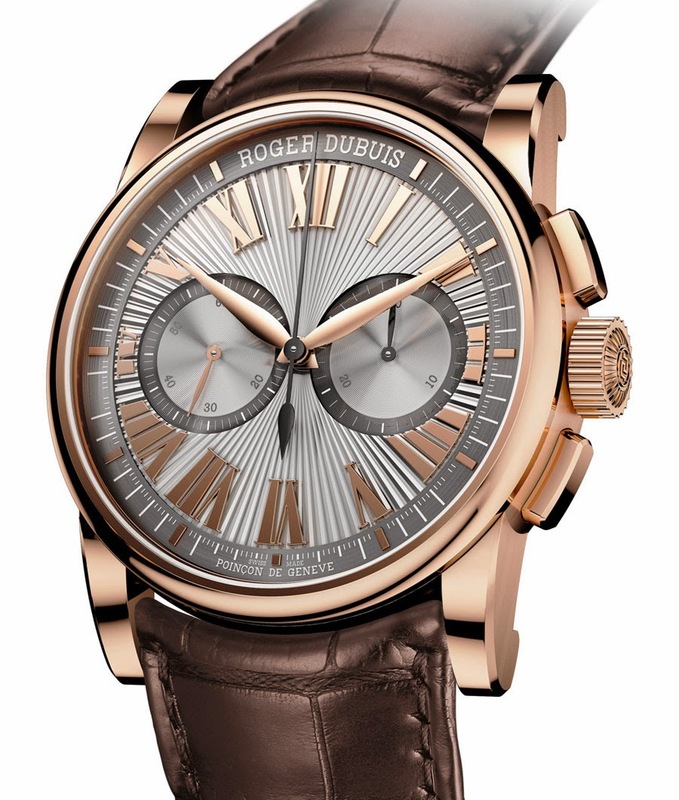 At SIHH 2014 Roger Dubuis will unveil the latest evolution of the Hommage line. In the meanwhile, here is a preview with the Hommage Chronograph, a 42 mm rose gold self-winding chronograph with central chronograph hand, semi-instant 30 minute counter at 3 o'clock and small seconds at 9 o'clock.